Welcome to the Lincoln School of Media Audio Production blog. Here you will find examples of staff and student work, updates on events and activities along with all kinds of audio related things we find of interest. Please feel free to peruse these pages and comment on anything you wish to. There has been exciting progress in the field of audio production and radio in recent years. On this course you can develop creative, critical, analytical, technical and organisational skills appropriate to employment in the audio, media, music and cultural industries. The course provides a broad foundation in audio production skills, in conjunction with media, music and cultural studies, with an opportunity to specialise in selected areas of audio production. Areas include auditory culture, music, sonic art, experimental production, branding/marketing and research. You will have access to top-of-the-range equipment in purpose-built studios including four radio production studios, six audio edit suites, an audio production teaching and editing suite, a dual control room recording studio and a post-production and dubbing theatre. There are opportunities for hands-on experience at Siren FM, the University’s Community Radio Station that broadcasts in the Lincoln area and further afield via the internet. Students benefit from a broad range of visiting speakers from radio, film and television, the music and audio industries and experimental sound performance artists. I’m currently on my gap year and am writing this from the studios of the National Theatre Kampala, Uganda, where I’ve been offered some sort of work experience. I am looking forward to beginning this course in September and have been finding these blogs very useful in providing a guide as to what sort of things to expect during my first year. Keep up the good work! Kudos to all you guys in the department for doing this! Connecting your courses to the wider world. I can’t believe how few institutions bother to do it! Thanks, Pete. Glad you’re enjoying it! Thanks for getting in touch. The exchange programme with Moorhead happens in term 2 of your 2nd year. You will complete a number of modules in the US and return to Lincoln for your 3rd year. 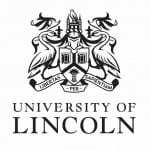 If you would like more detailed information please email Bryan Rudd brudd@lincoln.ac.uk who will happily provide this. Hello, I was wondering if I could submit a post to your blog about sound production. I have one specifically about multi-brand compression, and another about drum sound production. They’re well-written, 500 word posts which can help inform your readership. Can you send one over please?